DES MOINES, Iowa (AP) — He doesn’t prepare speeches. He doesn’t like pollsters. And, so far at least, Democratic presidential contender Beto O’Rourke doesn’t always have the capacity to coordinate basic campaign logistics. Just ask Des Moines County Democratic Party Chairman Tom Courtney. Last week, Courtney got an 8 p.m. text from the frantic owner of a local cafe who heard rumors that O’Rourke planned to hold a campaign event at her business the next day. But she hadn’t heard from O’Rourke’s team. When his representatives did reach out later that night, the cafe owner was left scrambling to find a half dozen additional employees with just hours of notice to work the event. Almost a week later, Courtney is still incredulous. Welcome to Betomania, a nascent presidential campaign that’s still learning how to balance the 46-year-old Democrat’s freewheeling style with the demands of running a nationwide political organization. O’Rourke attracted overflowing crowds, record fundraising and tremendous media buzz for his inaugural tour as he raced across Iowa, New Hampshire, South Carolina and Nevada over the last week. He also irritated Democratic leaders at times with a seat-of-the-pants campaign approach that may ultimately raise questions about his ability to govern. With little executive experience to speak of, the former three-term congressman’s 2020 presidential campaign — which is essentially a multimillion-dollar nationwide company that already features thousands of volunteers and dozens of paid staff — may represent the most significant leadership test of his life. The former punk rocker employed an unconventional approach to his 2018 Senate campaign in Texas, nearly upsetting Republican Sen. Ted Cruz with a rebellious strategy that rejected pollsters, political consultants and scripted speeches. Advisers suggest O’Rourke will eventually be more open to such conventions in his 2020 presidential bid. But in sharp contrast to the Democratic Party’s last presidential nominee, Hillary Clinton, who lost the presidency in part because of her inability to connect with voters in an authentic way, O’Rourke’s campaign is focused on a stripped-down presidential playbook that features little more than a rented van and a microphone. His team insists that early bumps are the natural byproduct of a candidate who genuinely didn’t decide he was running until a week or two before his March 14 announcement. Indeed, many top-tier candidates in the crowded 2020 presidential field have spent much of the last year — or longer — building shadow campaigns of prospective staff, donors and volunteers to allow them to ramp up their presidential operation quickly. O’Rourke had never stepped foot in Iowa before launching his presidential campaign. Aides report that he considers his wife, Amy, his most trusted adviser. But O’Rourke took a big step toward professionalizing his operation on Monday, 11 days after announcing his candidacy, by naming veteran Democratic strategist Jen O’Malley Dillon to serve as his campaign manager. She has experience on five previous presidential campaigns, most recently serving as deputy campaign manager to President Barack Obama’s 2012 re-election. O’Rourke’s skeleton crew moved into his El Paso, Texas, campaign headquarters on the Monday before his Thursday announcement, advisers said. Most of the current 24 paid staff were hired on a one-month temporary employment agreement to start. O’Rourke’s former congressional chief of staff, David Wysong, who has no presidential campaign experience, is currently directing campaign operations. Advisers note that the campaign is still relying heavily on its network of volunteers across the country but has received more than 6,000 applications for paid staff positions. Despite the challenges, O’Rourke’s campaign has attracted a flood of cash and positive media attention in the early days of his presidential bid. He raised $6.1 million from more than 128,000 individual donors in the first 24 hours after announcing his candidacy, a figure that bested Vermont Sen. Bernie Sanders’ $6 million and the $1.5 million raised by the next closest first-day fundraising leader, California Sen. Kamala Harris. 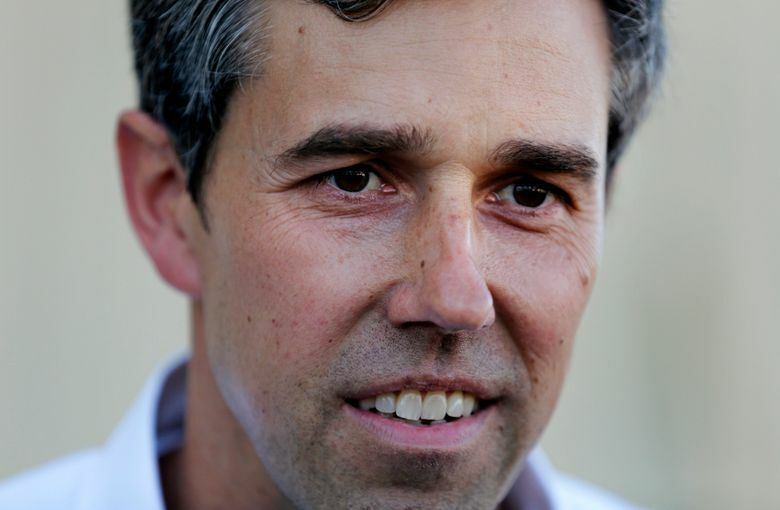 And in the days leading up to his announcement, O’Rourke was featured prominently in media coverage, including large spreads in Vanity Fair, The Washington Post and a documentary film that debuted at the SXSW film festival. The documentary made it clear that the candidate seeks to use the media to his advantage. Scenes showed him talking to advisers about trying to bait certain reporters into favorable coverage while complaining about having to “dance” for national outlets. In El Paso, O’Rourke critics have complained about him using the city as a prop for East Coast newspaper reporters. Amid the success on some fronts, the inexperience is showing elsewhere on the ground in key states. On the night before O’Rourke’s highly publicized arrival in New Hampshire, state Democratic Party Chairman Ray Buckley didn’t have any details about when or where to see him. House Speaker Steve Shurtleff, one of the state’s top elected Democrats, spoke with O’Rourke on the phone but could not arrange a time to meet in person. Some people find O’Rourke’s “quirky campaign” endearing, Shurtleff said, although tracking him down can be difficult. Others notice that O’Rourke’s team was taking unusual routes from event to event, which strained his schedule and prompted jokes about unnecessary travel on bumpy backroads. “I looked at his New Hampshire schedule and said, ‘Here’s a man who doesn’t know New Hampshire,'” said Susan Chandler a 72-year-old retired assistant principal who attended one of O’Rourke’s 11 events in the state over two days last week. O’Rourke and his team don’t yet know the states that matter most on the presidential primary calendar. He says his unorthodox approach on the campaign trail will help him connect with voters of all walks of life — especially in areas he doesn’t know. For now, he’s largely depending on an inexperienced staff and a huge collection of energized but inexperienced volunteers to guide him. Peoples reported from New York. Associated Press writers Hunter Woodall and Holly Ramer in Concord, N.H.; Meg Kinnard in Orangeburg, S.C.; Will Weissert in Austin, Texas; and Michelle Price in Las Vegas contributed to this report. This story has been updated to delete an erroneous reference to Des Moines County being the state’s most populous county.